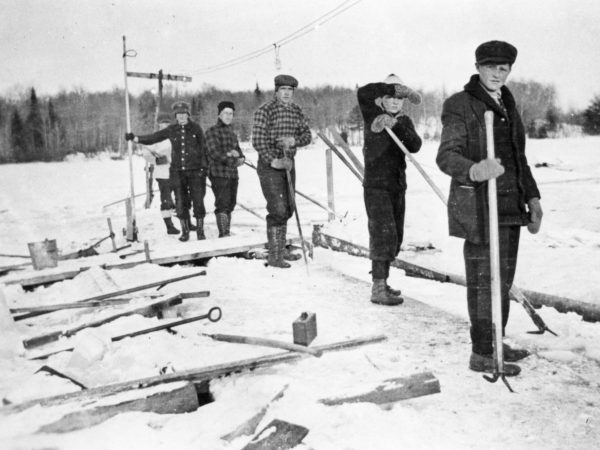 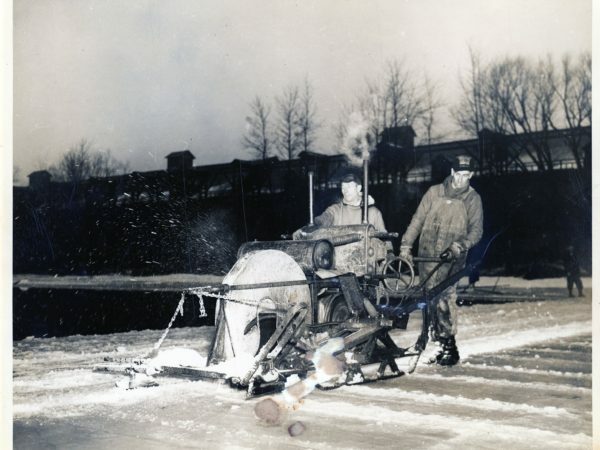 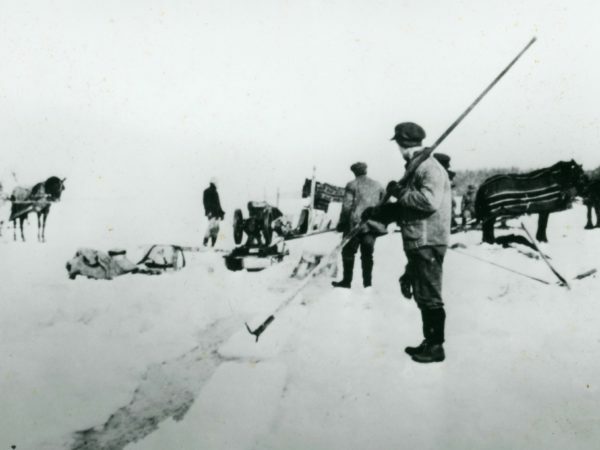 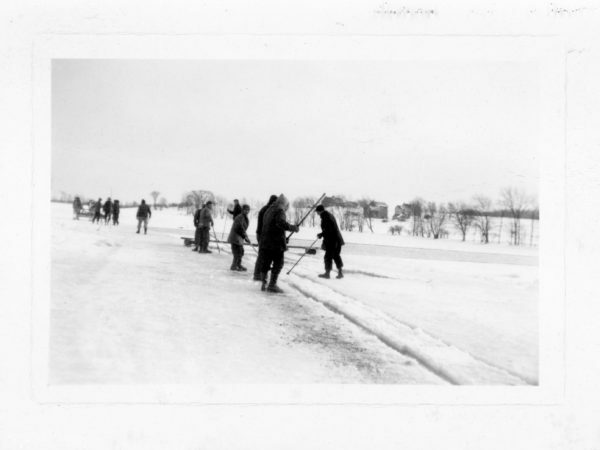 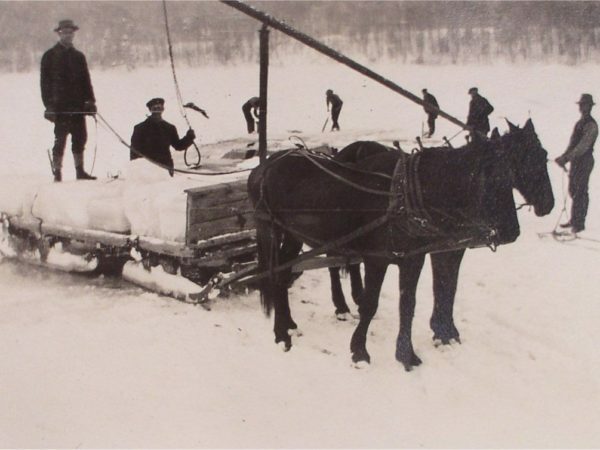 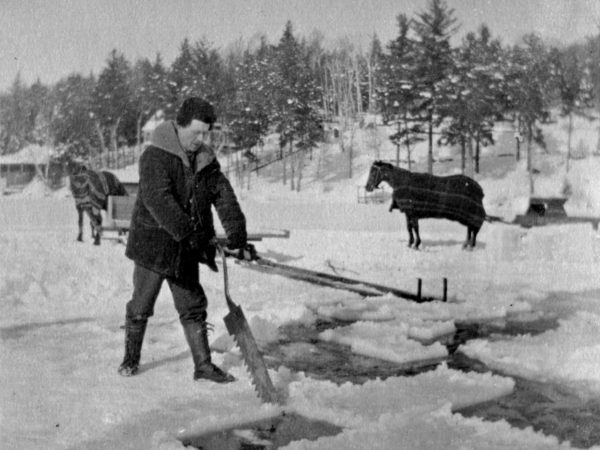 Men cut ice from a frozen lake. 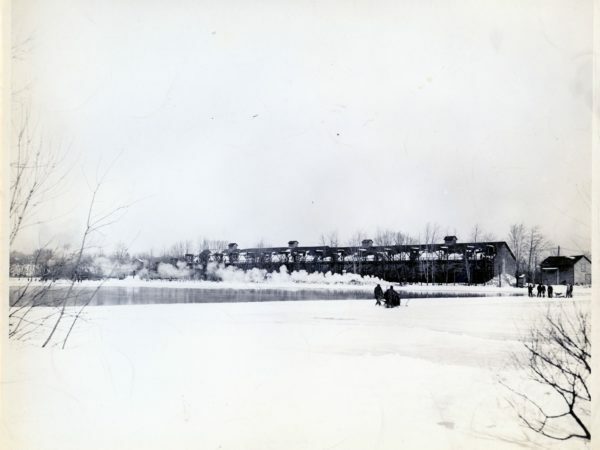 Photograph by Ferris Jacob Meigs. 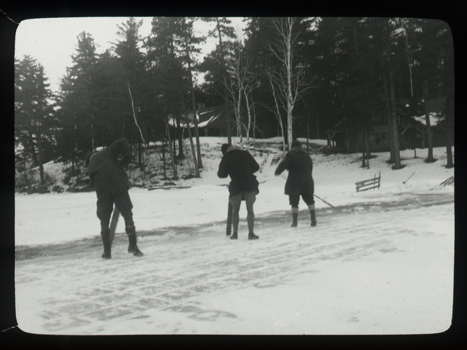 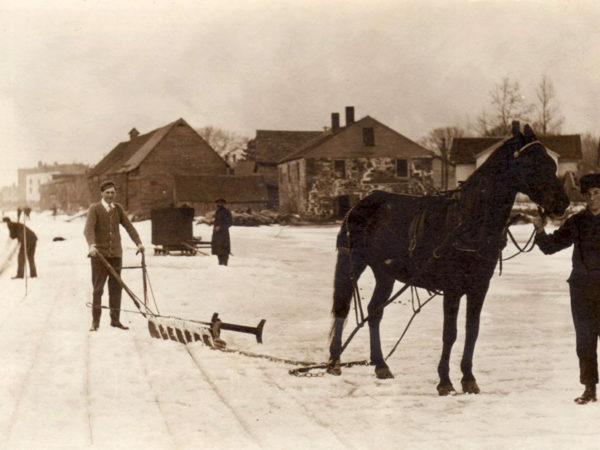 In the Adirondacks region, NY.. 1930-1940. 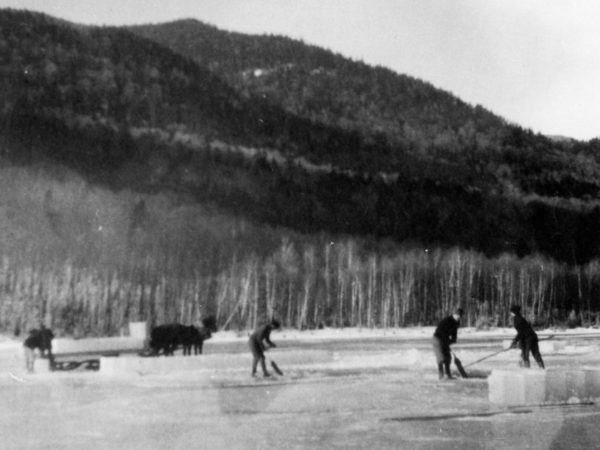 From the Ferris Meigs Logging Photograph Collection: Andrews Donation, courtesy of the Adirondack Experience.